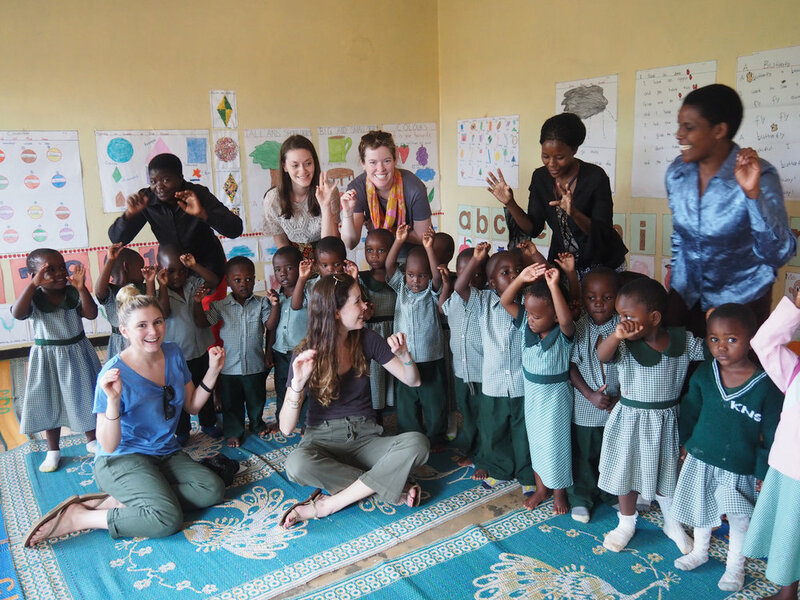 Nonprofit organization Maloto--which works to feed, educate, and empower the community of Mzuzu, Malawi--is celebrating its tenth anniversary this month. Mission talked to two of Maloto’s leading women of empowerment. Below, Meredith Brokaw, the initiator of Maloto’s Kwithu Kitchen tomato canning project, introduces our Q&A with founder Anna Msowoya-Keys. Mzuzu, Malawi caught my attention ten years ago when I first met Anna Msowoya-Keys, a native of Malawi who now lives in the U.S. After hearing her stories about the African village where she grew up, she invited me to come see the projects she started there. Malawi is a relatively small country and very poor. Of the nearly 14 million people, there are approximately one million orphans. Twelve years ago after one of her home visits, Anna organized 20 women to start a hot lunch feeding program for orphans in their neighborhood. They named themselves the Kwithu (meaning home) Community Based Organization. Next, she raised money locally in Mzuzu and from friends in the U.S. to create the Mzuzu International Academy, a primary and secondary school which now educates 250 children a year--and the primary school has a waiting list. After meeting these industrious Kwithu women, I returned on a second trip with canning equipment--mason jars and canners to teach them how to can tomatoes, an essential ingredient in many Malawian dishes. It was a completely new experience for all of them but one they took to immediately. They loved the process and could see how they could turn this skill into a business that not only would benefit them personally but also the community as a whole. These empowered women are now jarring whole tomatoes and filling pouches of puree to provide markets, hotels, embassies, and restaurants throughout the country with a constant supply of tomatoes. New products are also being developed by the Kwithu Kitchen. They operate one large greenhouse and are building a second for their tomato supply. In addition, they buy tomatoes from local farmers and employ members of the community. It’s hard to describe the pride that they feel. All of Malawi has become aware of the achievements in Mzuzu. Last year, Anna was awarded an honorary doctorate in social entrepreneurship from Mzuzu University. The U.S. Embassy brings visitors regularly to see the Kwithu Kitchen business in operation. I’ve worn a number of hats over the years: high school teacher, founder of a small chain of NYC toy stores, author of seven parenting books, and one cookbook. I’ve served on the boards of Conservation International and WNET as well as Gannett Co., Inc. As a former high school teacher and a person who loves gardening, cooking, and canning, I relished the opportunity to teach my passion to these women. And that I think is the secret. Wherever one’s passion lies, it can be translated into helping others. We are all global citizens, so the opportunities are worldwide as well as local--and they are endless. The Kwithu Women and their founder Anna Msowoya-Keys continue to inspire me. First of all, introduce yourself to Mission readers, and tell us a bit about yourself outside of Maloto. My name is Anna Msowoya-Keys. I am from Malawi, a small country in southern Africa that isn’t often in the news. I am the seventh born out of eight children. We are seven girls and one boy. My parents worked hard to support us and had very interesting lives. They were big believers in education and made sure that all of us took school very seriously. Tragically, when the AIDS epidemic hit Malawi, it hit my family hard. Four of my sisters, and their husbands, died in the epidemic. I’ve also lost nieces and nephews, and many other relatives and friends. Our family was able to care for the nieces and nephews who lost their parents, but of course it was very hard. After I graduated college, I first worked for the local government, in the city of Blantyre. In the late 1980s and early 1990s, Malawi was hosting more than one million refugees from neighboring Mozambique, where a long civil war forced many Mozambicans to seek refuge in Malawi. At the time, Malawi was hosting more refugees per capita than almost anywhere else in the world. I joined the International Rescue Committee, an American nonprofit relief and refugee assistance organization to help provide for the refugees. That began a long career in the nonprofit sector. Since then, I have worked for the Norwegian Refugee Council, ActionAID (a British NGO), and done consulting for others. I met my husband, John Keys, in 1991, when he came to Malawi to work for another NGO that was also helping Mozambican refugees. We were married in 1996 in Rwanda, two years after the 1994 genocide. We were both in Rwanda helping that country recover. We have two boys, who are now 31 and 19 years old. After working in Rwanda, we returned to the U.S. in 1998. That’s when I started thinking about how I could still help my country. I wanted to do something to honor my parents and their commitment to education, and I also wanted to help the so many people and families who had been affected by HIV/AIDS. And as strong woman, I also wanted to help the women of Malawi – who have so much to offer but are often marginalized because of social, economic and political reasons. Tell us a bit about Maloto and its different projects, and how you began each one. I met with other Malawians who also wanted to give back. 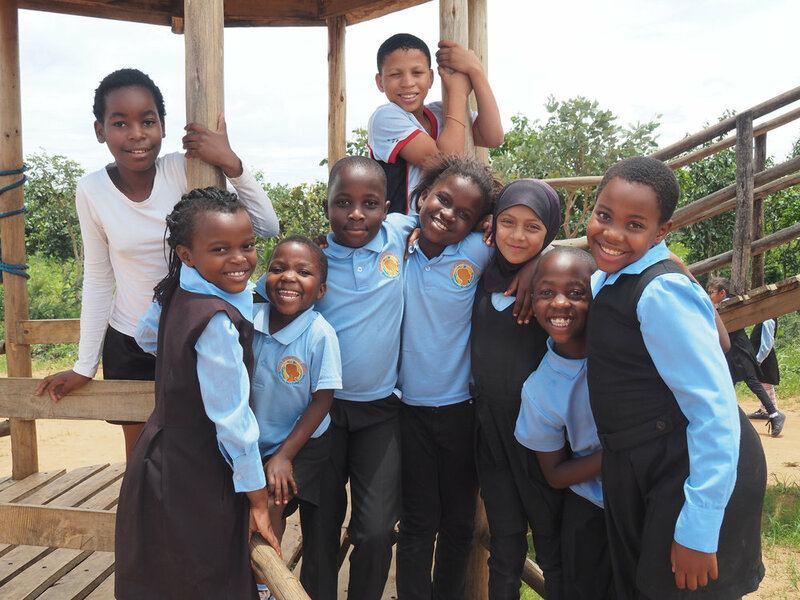 Our collective dream was to build the first international school in northern Malawi. And that’s how Maloto began. In fact, Maloto means ‘dreams’ in our local language. We needed to build an international school because the standards of the local schools had just fallen so dramatically. It’s unfortunate, but we felt the best way forward was to build a school that had the highest standards. Many people thought we were too ambitious, but we found very generous donors, the city of Mzuzu gave us a big piece of land, and we opened Mzuzu Academy (a high school) in 2010. We opened with two classes and 35 students. This past September, we began our eighth year. Four classes have now graduated, and in 2014 we opened a primary school. We now have about 130 students in the high school, and more than 120 in the primary school. I’ve always worked with women and children, and began working with a group of women from Mzuzu in 2004. These dynamic women came from disadvantaged backgrounds and tough circumstances. Some were widows, some were HIV positive, and many were vulnerable in other ways. But they were strong, and despite their own challenges, they wanted to help the children in their area. That’s how the Kwithu Women’s Group began, with 20 women. We began providing a few children with one extra hot meal each week, in a poor, temporary shelter. We now feed more than 300 children three nutritious meals a week. And our programs have grown--we provide recreation and after-school tutoring, and have even opened one of the few early childhood education programs in northern Malawi. On top of that, we work with more than 65 HIV positive youth and their families. Our HIV outreach and education programs reach more than 4,500 families in the community. I was very fortunate to meet Meredith Brokaw and her husband Tom, in 2008, when they traveled to Rwanda with my husband with the International Rescue Committee to see programs there. Meredith and I became friends, and in 2010, Meredith came to Malawi to see what I was doing. She immediately connected to the Kwithu women. She also saw that there was a huge opportunity to teach the women how to can and preserve tomatoes. She saw this as an opportunity to help the women and their families, as well as an opportunity to create a small business that could help them all with their economic security and long-term livelihoods. That’s how Kwithu Kitchen was started. Now, several years later, we have come a long way. We have a product that is nationally recognized, and our expanding into other products. It’s hard but very exciting! Maloto describes its mission in three parts: feed, educate, empower. Can you speak to how those three things are connected? I’ve always felt that we must pay attention to vulnerable children and women, and it’s difficult to do anything when people are hungry and malnourished. We can’t solve that problem by ourselves, but we can start with addressing a basic human need that everyone understands. But we also know that we can’t just stop there--if we’ve helped feed and nourish some, we know we want to go further. In Malawi, like almost everywhere, if you’re not educated, then your chances of longer-term success are limited. Education doesn’t guarantee you a future, but it gives you a fighting chance. For women in particular, we need to do even more. Education gives a foundation, but women need to take charge of their lives and their future. We talk of empowerment. Empowerment can take many forms: helping in the community and not waiting for outside help, demanding more from their community leaders, earning a living through Kwithu Kitchen, and knowing their rights in the family and in society. So much of your work addressing the HIV/AIDS crisis in Malawi has women at its core. What is the role of women in Mzuzu, and has it changed since you started Maloto? What are their lives like, and why is their position important to the life of the community? Women in Malawi are like women everywhere-- they are the real movers and shakers and supporters and nurturers of children and their families! Their social status may not make this clear sometimes, and sometimes they truly are oppressed and marginalized. But I’d like to think that the women of Mzuzu have always been strong in their own way, and I want to help them become even stronger. How do you take an idea and turn it into action? What advice do you have for women who identify a problem--in their own community or beyond--and want to address it? It’s easier to turn an idea into action when you truly believe in something, and when you are lucky enough to have a group of doers and supporters to help you. So it starts with belief-- belief that lives can be improved, no matter what the obstacles. My main advice is: don’t be afraid to address a problem, even if it seems like a solution is not possible or is very far away. If I only looked at the challenges in front of me, I would be paralyzed! It is important to me that while I am proud of what I’ve been able to accomplish, my message is that others can and should do the same! Start with belief and hard work and good things will happen. How has your work with the women of Mzuzu changed your perspective? How do you think about the position of women in the world now, versus before you began your organization? In many ways, my work hasn’t changed my perspective, but rather confirmed what I’ve always believed: that with hard work, and some help, women can truly take control of their lives and do so much in their families, and in their communities. They just need to be given a chance. It was important for me to work at home, to show women that I’m a Malawian, just like them. I was given some chances and opportunities and I took advantage of them. They can do the same thing. I think that overall the position of women is continually moving forward, but there are setbacks now and then. Look at the U.S. right now, and the issues of sexual harassment in the press. If this can still happen in the U.S., of course it happens in Malawi. But I am always so glad that awareness is being raised, and that so many women around the world are not afraid to speak up, no matter what the issue. We can’t take anything for granted, but I’m always optimistic about the power we have to do more and to do good! What do you see as the biggest challenge facing women in Mzuzu today? What about in the United States? All the optimism I’ve spoken about doesn’t change certain hard realities: women in Malawi face so many social, economic, and political challenges. Laws may change in women’s favor, but the application of the law can be erratic. For example, in Malawi there are now laws against child marriage, but it still happens. There are laws protecting a woman’s rights to communal property when a husband dies--but often culturally a husband’s family will still take everything from the woman. Sometimes culturally, men will deny access to certain services and opportunities to their wives and daughters. So it’s not easy, but there are many agents for change. And I feel very strongly that the women in Malawi shouldn’t be pitied. I feel strongly that there are issues facing women here in the U.S. It’s not just in the ‘developing’ world that women are discriminated against. There’s a pay gap in the U.S. that is well documented. Women’s rights are under siege with challenges to birth control access. The sexual harassment stories that are now coming out are shocking for us from the developing world--because sometimes we think that these issues have all been sorted out for a country that is supposed to be so ‘advanced’ like the U.S. So all of these things are challenges and should unite us all. What was the biggest challenge you faced when starting this organization? How did you overcome it? There are so many challenges, but I don’t focus on them too much! In Malawi, good leadership and project management skills are sometimes hard to come by due to poor education and other social issues. And I don’t want to sugarcoat things: sometimes local officials, community leaders, and government officials don’t support us the way we think that they should. But we work on them! And--there’s no way around it--funding is always a challenge. We have many generous donors. But there are so many good causes in the world, and sometimes it’s hard for people to care about a place as far away as Malawi, especially when there are many problems to address close by. The biggest way to overcome some of these challenges is for supporters and donors to come and see the projects on the ground. They are almost always amazed by how much we are able to do with relatively modest amounts of money. And they are also so impressed with the women who are doing the projects, the HIV positive children who are doing well now, and the students who are given opportunities and making the most of it. Can you tell us about a moment you experienced or a person that you met that particularly inspired you? My aunt, Rose Chibambo, who died in January 2016. If you Google her, you will see what a revolutionary woman leader she was in the British colonial times (when she was imprisoned), and in the early days of Malawi’s democracy. She was the first woman minister in President Banda’s cabinet. She had to flee to Zambia when President Banda turned against her and other ministers in 1964. She returned to Malawi after 30 years in exile and was ultimately recognized as a national hero. Her picture is on the Malawi Kwacha 200 currency note, and she was accorded a state funeral when she died. Here was a woman who was doing revolutionary things a long time ago when women in power were virtually unheard of. If it is hard now sometimes, I imagine how hard it was 50 years ago! The other people who truly inspire me are the students we have supported at Mzuzu Academy who are HIV positive. I can’t share their names for privacy reasons, but several students were born HIV positive, infected by their mothers who didn’t have access to care. Many of them were very sickly, and we were able to help them get anti-retroviral drugs. There were many challenges and stigmas against them, because it’s almost impossible to keep one’s HIV status a secret. With this help, they have been able to find their way. Several of these students have now graduated, and they are attending college, with Maloto’s support. Their families in many cases have accepted them. They are confident and they have a bright future. I have also told them that they have to give back because of what they have received! What does being a “woman of empowerment” mean to you? It means being a woman who can take charge of her life, and take charge of the lives of her family and her community. It means being a woman who moves forward, who takes action, and who doesn’t accept the status quo. We don’t always get the results and outcomes we want, or maybe they take too long, but we don’t let that stop us. We take action. In due course, the results will come.